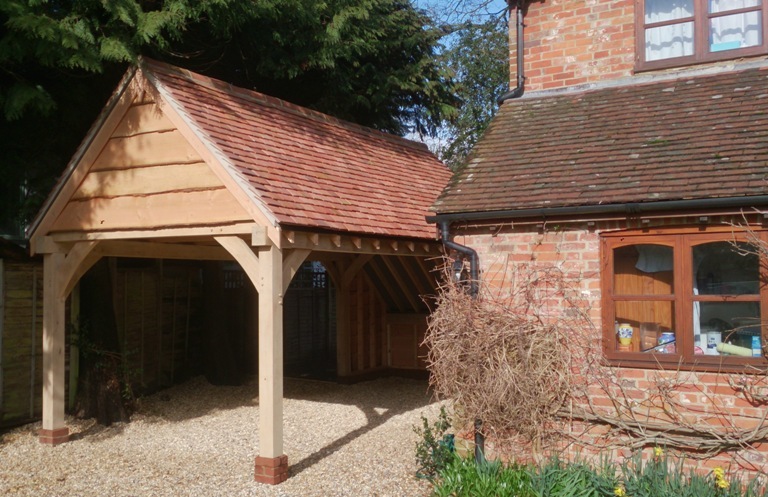 Another successfully completed Oak Framed Garage project for some lovely clients in the heart of the New Forest. We were asked to undertake a full design, planning & build package for a large single garage/carport with internal log-store at the rear, in Lyndhurst, Hampshire. After meeting and discussing what type of outbuilding was required, initial hand drawn sketches were provided for consideration, details tweaked and a final design was approved. The detailed construction drawings where then completed, including relevant structural engineering specifications. Any possible issues with nearby trees were discussed and then a full online planning application was made to the New Forest National Park Authority, with all relevant supporting documents. Chunky Green Oak Furniture for Ben Whistler Ltd.